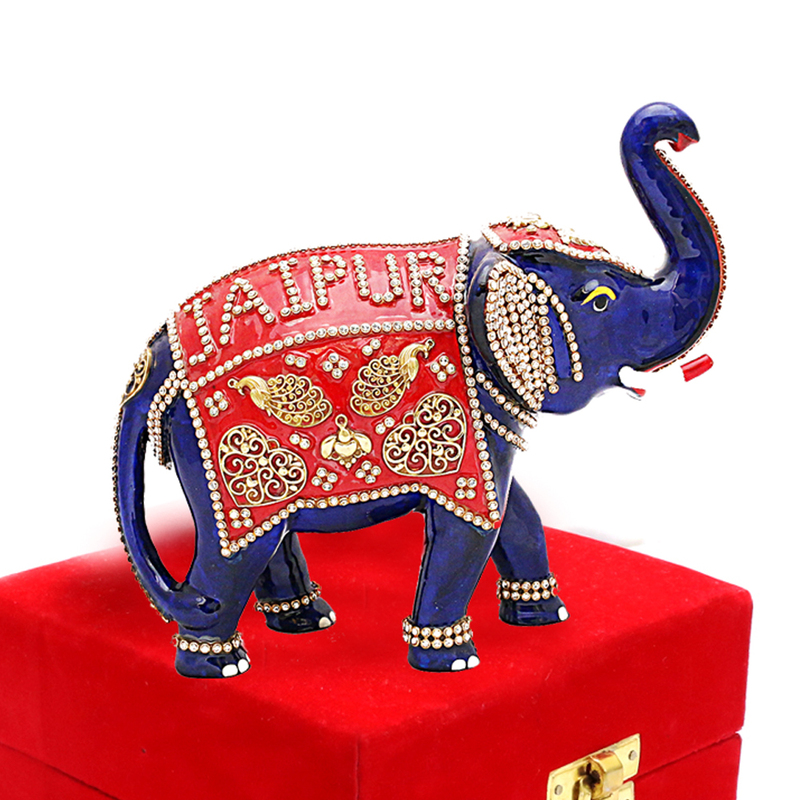 This beautiful elephant is entirely dressed in royal blue colour. The showpiece has been adorned with stone and meena work. this showpiece is a great Read More..sign symbolizing royalty and victory. It symbolized a sign of prosperity. Show Less..